Exploring around the small villages of this area, between the towns of Larnaca and Lemessos, we came across this taverna. I think it was April, and quite late in the day, so we weren't really expecting to find anywhere serving food in the village. We were pleasantly surprised. 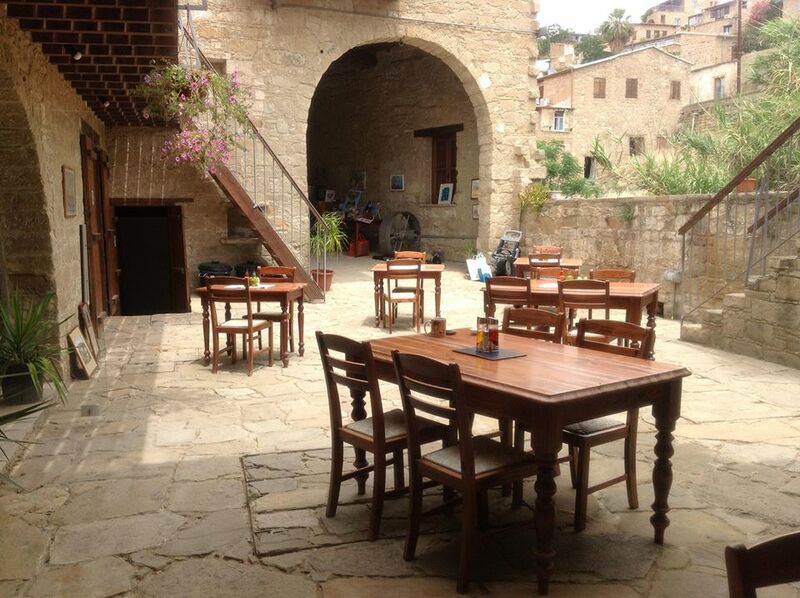 The owners of the Tochni Heritage Cafe Bar are an English couple, who told us they had fairly recently taken over management of the taverna. They were extremely friendly and welcoming. As well as asking lots of questions about Sage, they sat to pet her for some time. They talked about the dog grooming salon that they run, and clearly had a love of animals. It is a beautifully restored building, with rent rooms and dining area around a courtyard, with a fantastic shady arcade on one side. At the time of year that we were there you could hear frogs croaking in the small stream just outside of the taverna. 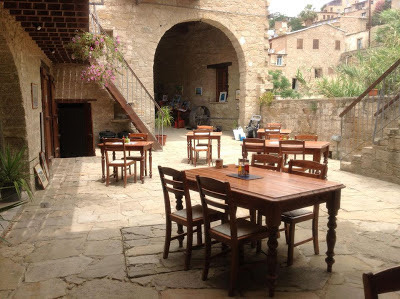 There was generally a relaxed, friendly atmosphere in the taverna, and a mixed clientele of rather elderly locals and desperately muscular, healthy tourists on cycling holidays. It was fairly standard prices for Cyprus. I would definitely like to go back and see what they have done with the summer menu.